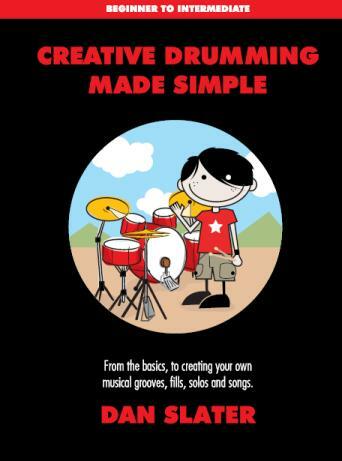 Unlike other beginner drumset texts, CDMS guides the student through the creative process after presenting new technical material – giving them an opportunity to inspire themselves and build musicality. There are many pages dedicated to creating your own rhythms, grooves, fills, solos and entire songs – complete with 15 audio tracks to download and play along with. Page 34 – Mr E.
* Space Quest (p. 58) requires you to write your own drum part.